Estacada Crosscut Saw Training and Certification is an annual event hosted by the Pacific Crest Trail Association and U.S. Forest Service, where qualified participants can earn crosscut saw certifications and re-certifications. 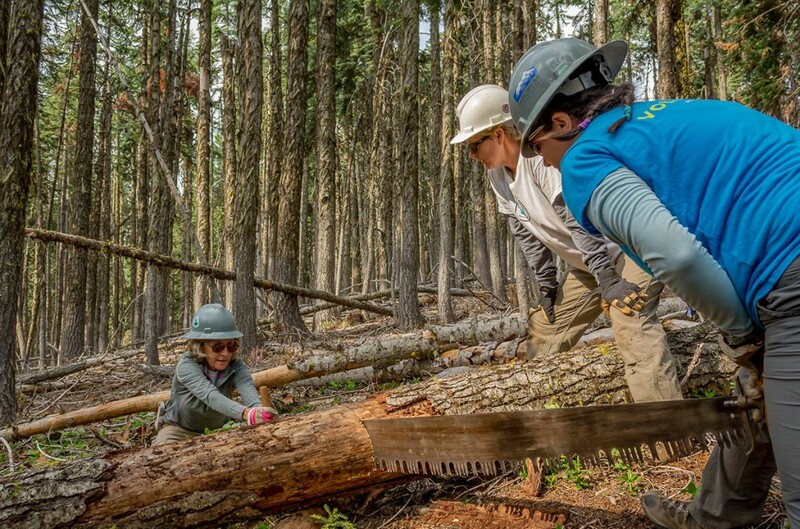 This crosscut saw training and operation is possible thanks to safety and operation agreements with the U.S. Forest Service. This event is open to PCTA volunteers and members only. Copies of current First Aid and CPR certifications must be presented to attend any of the saw classes. The application process is very competitive. Submitting your application does not guarantee admission into the training. Learn more about PCTA’s Saw Training and Certification program. This event will not be held in 2019. Estacada Crosscut Saw Training and Certification will not be held in 2019. Please visit our website for other saw training opportunities, including Wind River Saw Training on April 26-28.